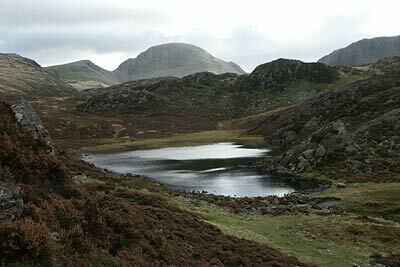 Haystacks was Wainwright's favourite Lake District fell and this walk from Honister Pass is excellent. Offering the feel of Lakeland mountains without too much effort this route is full of interest and Wainwright's choice soon becomes obvious. The route includes some interesting industrial archaeology passing the old slate quarries in the area. This guidebook describes 30 graded fell walks on the ridges and high peaks of the English Lake District, the UK's most popular national park. Reaching some of England's finest and highest mountain scenery, this guide leads readers to classic horseshoes and traditional ascents as well as lesser-known routes to quieter summits.